(SKNIS) — Compared to nearly most of its Southeast Asian and South Asian neighbours, the 13, 974 square mile East Asian island of the Republic of China (Taiwan) with a population of almost 24 million people, is small in landmass but a powerhouse in technology, agriculture, culture, education, business and respect for human rights. Considered a country with very few diplomatic allies, 21 to be exact, and only six from the East Asia and Pacific Region, Taiwan has done extremely well for itself in fashioning a modern and prosperous society to be admired by its neighbours in particular and the world in general, although it is not a member of the United Nations. Taiwan’s friends continually call for its inclusion in the international body. Since assuming office, while making history on May 20, 2016, as the first woman president of Taiwan, Tsai Ing-Wen has made it a policy of her administration to not upset the applecart on the deep bonds of cooperation in trade and commerce with Beijing where cross-strait relations have improved drastically in recent years, but rather to spread Taiwan’s wings by deepening and strengthening investment with its neighbours, something Taiwan has been doing for almost 40 years. President Tsai’s way of doing this: The New Southbound Policy. 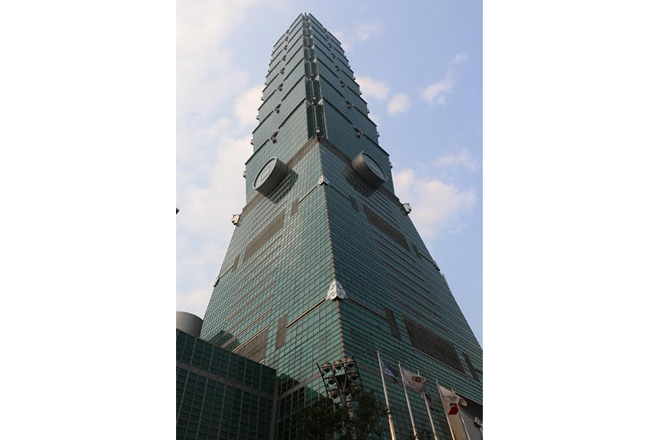 In her inaugural presidential address, President Tsai said of Taiwan: “We have the vibrancy and resilience of a maritime economy, high quality human resources, the pragmatic and reliable culture of engineers, a well-developed industrial chain, nimble and agile small and medium enterprises, and of course, our relentless entrepreneurial spirit. In order to completely transform Taiwan’s economy, from this moment on, we must bravely chart a different course-and that is to build a ‘New Model for Economic Development’ for Taiwan. “The new administration will pursue a new economic model for sustainable development based on the core values of innovation, employment and equitable distribution. The first step of reform is to strengthen the vitality and autonomy of our economy, reinforce Taiwan’s global and regional connections, and actively participate in multilateral and bilateral economic cooperation as well as free trade negotiations including the TPP and RCEP. The New Southbound Policy was explained to 26 journalists representing every continent from several countries including St. Kitts and Nevis, Latvia, USA, Greece, the Philippines, New Zealand, Finland, Indonesia, Sweden, Kuwait, Vietnam, Australia, India, South Africa, Mexico, Korea, Russia, Paraguay, Slovakia, Chile, Brazil, El Salvador, Peru, Belize and Japan, at a symposium chaired by John C.C. Deng, Minister without Portfolio, Executive Yuan, on April 7, 2017, in Taipei. The New Southbound Policy Promotion Plan calls for the development of comprehensive relations with ASEAN (Association of Southeast Asian Nations), South Asia, Australia and New Zealand while promoting regional exchanges and collaborations, repositioning Taiwan as an important player in Asia’s growth. 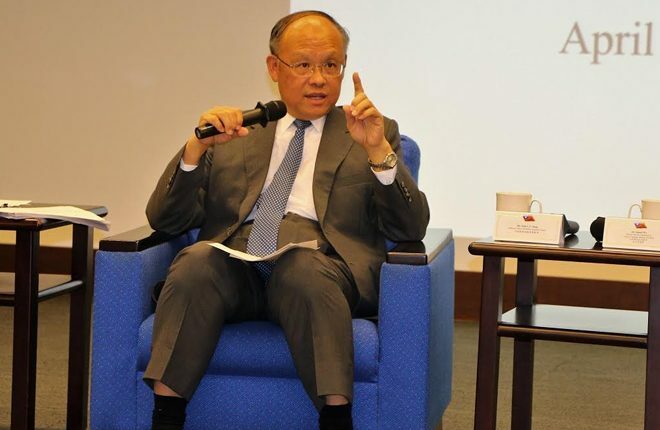 He said that Taiwan has for a very long time had deep relations with its neighbours through investment, spanning about 20 years, while highlighting that Taiwan is the second largest foreign investor in Vietnam, the Philippines and Malaysia. “Because of that kind of relation, our business has benefitted from their efficiency and their productivity and also for them we created many jobs, so we began our efforts to invest and trade with them in quite early time,” Mr. Deng said. “For over 40 years, we have been recruiting students from Southeast Asian countries to study in universities or even in high schools here in Taiwan and with the accumulation of those 40 years of educational experience, we have a large number of people in Southeast Asian countries who are the backbone of their society, with managers, engineers, teachers in our partner countries who had spent their wonderful young years in Taiwan. They are the network of Taiwan,” added Mr. Deng. He said that Southeast and South Asian countries face similar challenges in city management and should seek common solutions for which Taiwan has experience and expertise that it would like to proffer. The business approach of Taiwan, Mr. Deng said, “is not to make money and leave” but that Taiwan will work with its South and Southeast Asian neighbours as partners in what he referred to as “system integration”, while highlighting Taiwan’s possible assistance in the areas of SMEs (Small and Medium- sized Enterprises) and agriculture. In the New Southbound Policy Promotion Plan “Taiwan intends to settle for the long haul and develop comprehensive ties with 18 countries—10 ASEAN members, six South Asian countries as well as Australia and New Zealand.” The 10 ASEAN members are Lao PDR, Brunei Darussalam, Myanmar, Vietnam, Thailand, Cambodia, Philippines, Malaysia Singapore and Indonesia. The six South Asian countries are Pakistan, Nepal, Bhutan, Bangladesh, India and Sri Lanka. In creating a new model of economic development that will help drive growth and prosperity for the entire region, the New Southbound Policy of President Tsai’s Administration is an important pillar in Taiwan’s external economic strategy. According to Mr. Deng, Taiwan will use soft diplomacy to reach out to its partners by linking resources, talent, markets and technologies with ASEAN, South Asia, Australia and New Zealand. “They are important to us. We care about them. We hope through our efforts, they will care about Taiwan. We hope more young people get to know each other. Under this new policy, there are more tourists to visit these countries and there are more tourists coming over to Taiwan,” Mr. Deng said.